Arts EventsSee what appeals to you in the way of performing arts–music, dance and theater–film, or visual arts–museum and gallery exhibitions. 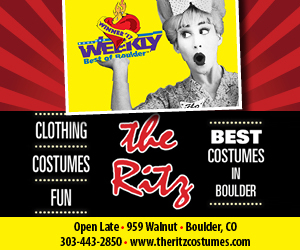 A celebrated hive of creativity, Boulder has amazing music on multiple stages every night of the year. You know Boulder is an exercisers’ paradise. Check these listings for skate parks, dog parks, and places to stroll, hike, bike, play tennis, swim, or take a yoga class. And there’s always the beautiful Boulder Creek Path in the middle of town, with lovely, refreshing scenery and the best people watching. After all that running around, it’s time to eat! 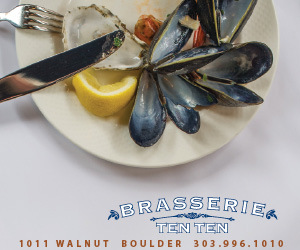 Named America’s “Foodiest Town” for its size, Boulder has an outstanding array of restaurants and bars, from fun and funky to world-class. Boulder County’s best Dining Guide will help you narrow your list, if not your waist. Warning: The descriptions of dishes in this section may cause hunger pains. Our updated Transportation / Transit Guide connects to where you need to go. 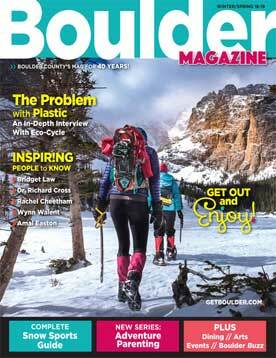 From interviews with local politicians, to business, restaurant and music profiles, learn about Boulder past, present and plans for the future. If you don’t know what you want to do today, but you do know today’s date, then you can find your Boulder adventure in the Calendar listings. 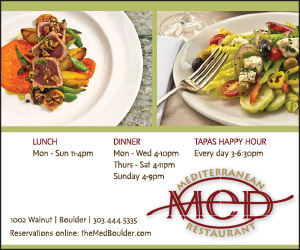 The Boulder Daily Events Calendar could lead you to a memorable experience that’s ready to begin right now.